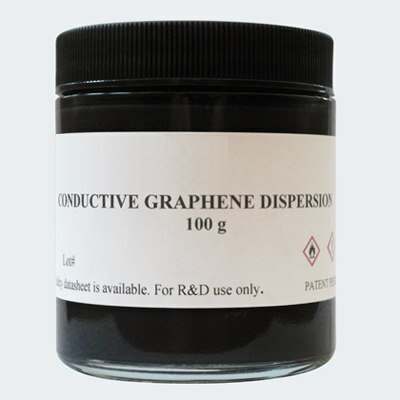 Ultra high concentration of graphene flakes (GNPs) in n-butyl acetate solvent (23 wt% total graphene content). Can easily be used to form highly conductive films various substrates such as paper, glass, plastic films and cartons. Such films can be deposited by blade or bar coating. These films have a smooth, paper-like structure. The SEM image below is of such a film on paper.